itll pull at your heart strings, even if youre not a fan of country music. 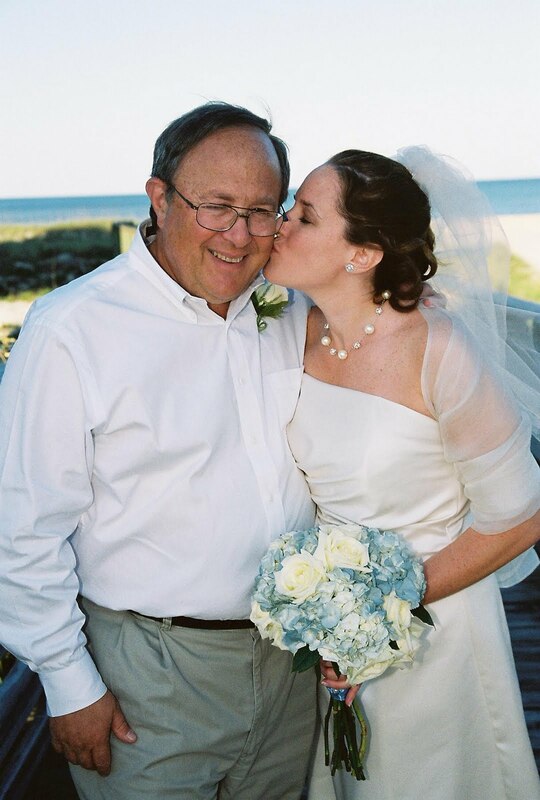 This song resonates in a personal way with NFIs Senior Director of Events and Logistics, Elaine Barber, because fishing with her dad is one of her favorite memories of childhood. Looking back now as an adult, she appreciates the significance of those moments together  as Trace Adkins says, its not just about fishing. When I was 5 or 6, my Nana and Poppi had a motor home and we always used to go camping with them. I had a Snoopy fishing pole that my Poppi had gotten me and I always loved to fish with my dad when we were camping (which is funny because I don't even eat fish!) One time when we were camping, we forgot my Snoopy pole. I was so disappointed, but my dad made me a homemade fishing pole out of a stick, fishing wire, and hook -- with no reel! We used dough balls for bait and I caught more fish with that pole than ever before. We called it my Robinson-Crusoe fishing pole and my mom has it in her basement still 30 years later! Flash forward 20+ years and in 2002, NFI awarded The Recreational Boating and Fishing Foundation (RBFF) a Fatherhood Award for a public awareness campaign they did titled "Take Me Fishing." 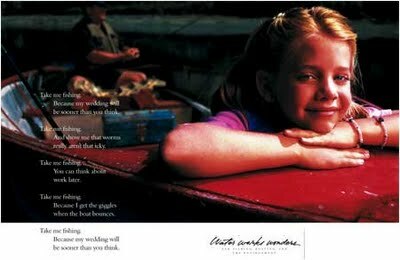 One poster showed a picture of a little girl and her dad in a red fishing boat with the line, "Take me fishing because my wedding will be sooner than you think." I asked RBFF to provide me a copy of the poster which proudly hangs in my parent's house -- a reminder of all those wonderful times spent fishing -- just me and my dad.